A top South African advocate has been drafted into MDC Alliance leader Nelson Chamisa's legal team to fight the opposition party's Constitutional Court (Con-Court) challenge to be heard on Wednesday. Advocate Jeremy Gauntlett, who was the lawyer for South Africa's first black president, Nelson Mandela, joins Chamisa's backroom strategists, with his lead advocate Thabani Mpofu heading into the Con-Court on Wednesday. The Con-Court challenge came after the Zimbabwe Electoral Commission declared President-elect Emmerson Mnangagwa winner of the just-ended July 30 elections with 50, 8 percent of the vote ahead ofChamisa who managed 44,3 percent. Chamisa's legal team of local attorneys, being led by Mpofualready has two top legal minds from the neighbouring country who include advocates Tembeka Ngcukaitobi and Dali Mpofu. The addition of Gauntlett significantly reinforces the team. Gauntlett, co-author of Bar, Bench & Bullshifters: Cape Tales 1950-1990, was Mandela's legal advisor, and worked for luminaries suchas Desmond Tutu and Chief Albert Luthuli, as well as the Biko family. He also helped pen South Africa's first democratic constitution. Gautlett also helped South Africa's former president Jacob Zuma get off the hook and stitched a deal to have him repay state money spent on non-security upgrades to his private residence in Nkandla, after ascandal over lavish improvements including a swimming pool and amphitheatre. Former Higher Education minister David Coltart yesterday boasted that over and above the top "team of local, regional and international lawyers who are leading its court challenge, Chamisa's team will be joined by Gauntlett ahead of the Wednesday hearing. "What a great team which will also be joined by Advocate Jeremy Gauntlett next Wednesday," Coltart tweeted yesterday. When he was pressed by exiled businessman Mutumwa Mawere to confirm his tweet, Coltart, a lawyer himself, obliged. "Yes - Advocate Jeremy Gauntlett SC QC has been advising on the case since its inception and continues to do so". Gauntlett whose full title in legal circles is Advocate, Senior Council, and Queen's Counsel was admitted as a South African advocate on October, 9, 1974 is a member of Cape Town, Johannesburg and London Bars. He is also a bencher of the Middle Temple and has served as chairman of Cape Bar Council for two terms as well as the General Council of the Bar of South Africa. Gauntlett is a founding vice-president of the Bar for the International Criminal Court and past council member of the IBA. The respected attorney also served from 1996-2006 as a member of SALaw Reform Commission and Judge of Appeal of Kingdom of Lesotho from 1996-2010. He was appointed to the Financial Markets Tribunal of Dubai and to the Shanghai International Arbitration Court in 2014. He is currently practising at Brick Court Chambers, London and from chambers in both Cape Town and Johannesburg. Born and educated in Zimbabwe, Gauntlett is an Alfred Beit and Rhodes Scholar at University of Stellenbosch and University of Oxford respectively. He was awarded Harvard Graduate Fellowship, elected to Visiting Fellowship, New College, Oxford, to honorary professorship at University of Stellenbosch and as a Distinguished Fellow of the Bingham Centre, London, among several other honours. Mpofu on the other hand was acting judge at Labour Court of South Africa at one point and is an advocate at National Anti-Corruption Task Team. His counterpart Advocate Ngcukaitobi is a member of the South African Law Reform Commission (SALRC). Ngcukaitobi has authored the book "The Land Is Ours: South Africa's First Black Lawyers and the birth of Constitution"
He was part of the Julius Malema led opposition Economic Freedom Fighters (EFF) legal team that argued for the state capture case in the North Gauteng High Court. Both Ngcukaitobi and Mpofu, who have acted in high-profile cases for opposition parties taking on the government in South Africa before, arrived in Harare for the case on Friday. They are expected to argue that the 30 July poll was rigged in a number of ways and that that it wasn't free and fair because, among others factors, the state media was biased. 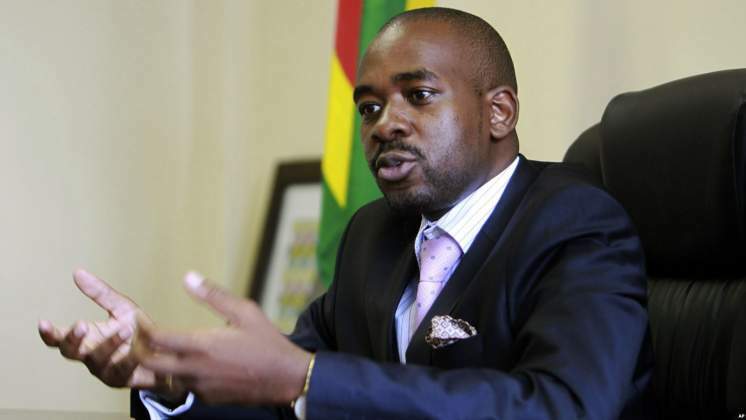 They claim to have figures showing that Chamisa was the winner of the poll, and should be declared as such, or alternatively they want a run-off election between the two candidates. The cast of international barristers is set to lock horns in a fierce legal battle with the ruling Zanu-PF's "Dream Team" of 12 led by Advocate Lewis Uriri, Finance minister Patrick Chinamasa and Paul Mangwana. Both teams have expressed confidence they will emerge triumphant arguing that each of them have the most compelling evidence. Commenting after Chamisa's legal teams completed preparing their answering affidavits to the response by Mnangagwa also filed at the Con-Court last week, Coltart described the MDC Alliance's legal team's work as outstanding. "I have just finished reading the very powerful Heads of Argument filed by Advocate Mpofu in the Con-Court. Outstanding work done by our legal team. Makorokoto. Amhlophe #Zimbabwe," Coltart said on Twitter.